I think I just found my new go-to place in Georgetown. Inexpensive food + homey vibe + nice owners, Simply Banh Mi just does it right. 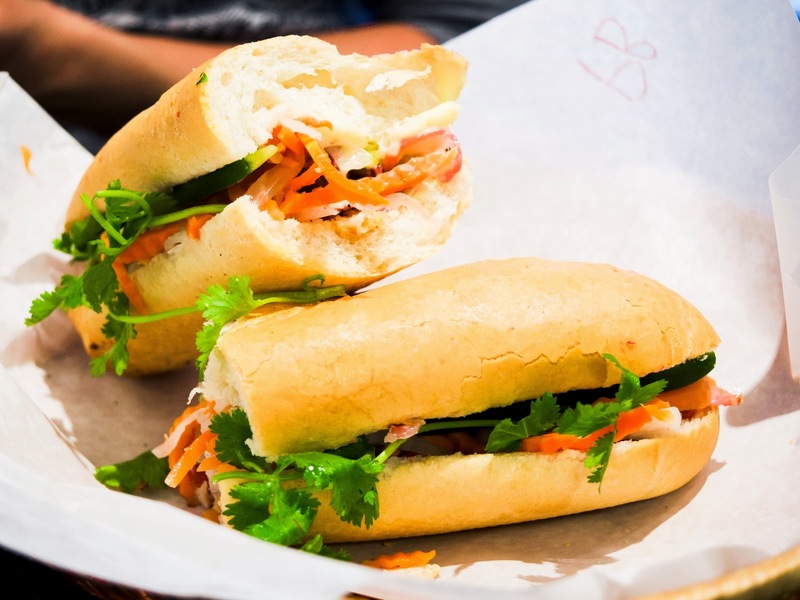 After hearing about it from a couple of friends, I was determined to cross Simply Banh Mi off my to-visit list. Truth me told, I am a bit of a banh mi snob. I've had a lot of them in my life and I know exactly what I like. While Simply Banh Mi can't offer the $3 sandwiches like those little huts in Little Saigon and Asian grocery stores back home - I mean, this place is Georgetown - for $6.50-$8.50, it is still extremely competitive for DC standards. 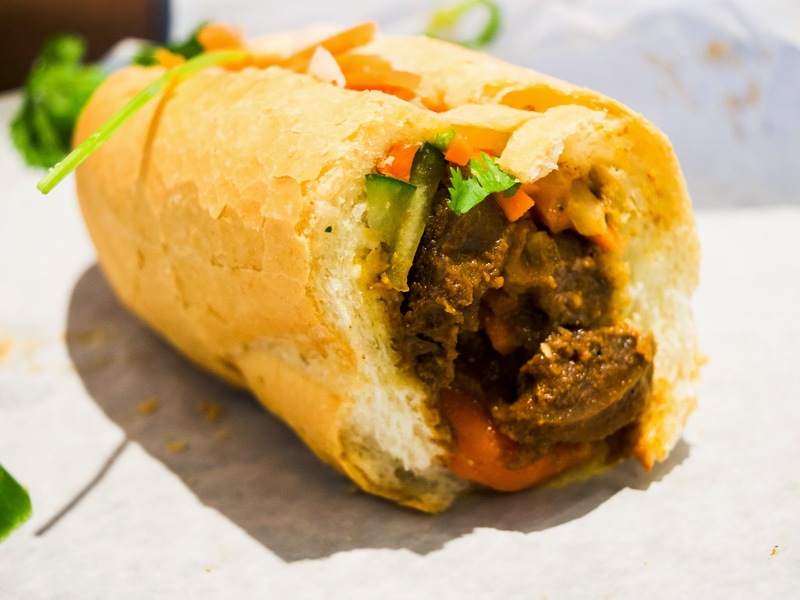 Located on Wisconsin Avenue, Simply Banh Mi is quite a small, cosy place. It seats about five to six people but they do offer take-out and delivery which appeared to be quite popular. Because I was the only person in the restaurant, I decided to just eat in. My dining partner and I ordered three sandwiches to split between us: lemongrass chicken, roasted pork belly, and beef chuck. Sandwiched between a baguette and accompanied by crunchy pickled daikon, cucumber, jalepano, and cilantro, the meats was still wonderfuly warm and moist when they were served to us. While I do wish for the baguette to be a bit crispier (my dining partner thought it was perfect as it) and the carrots and daikon to be a bit more pickled, the over-all sandwich was absolutely delicious. The warm meats contrasted perfectly well with the cool, crunchy veggies and the spicy jalepeno and (self added) sriacha helped cut through the aioli nicely. 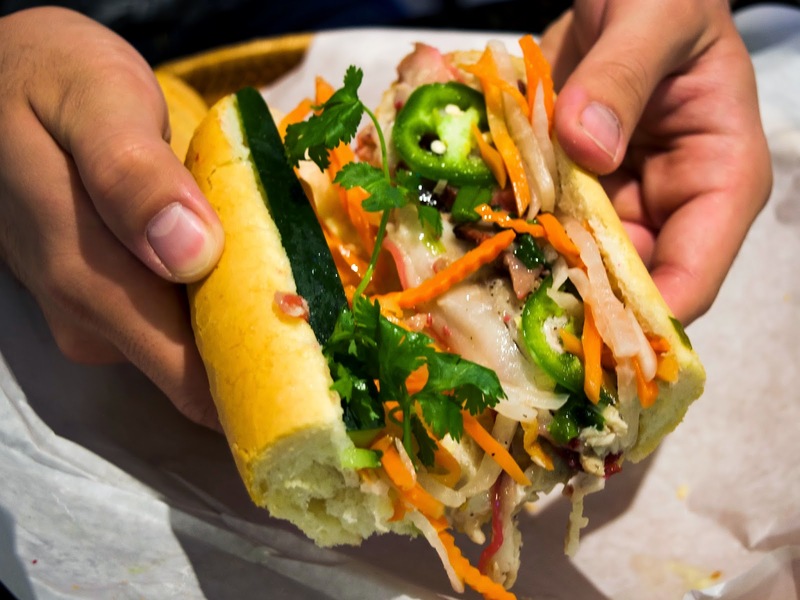 As for the meats, my standard for banh mi have always been either lemongrass chicken or pate and vietnamese cold cuts and I was delighted to find the chicken to be extremely generous and moist - probably some of the best chicken I have had in a banh mi. As for Mama Tran's "world famous" pork belly, warm, juicy, melty, porkiness...yes, yes, yes, yes please! If you are only going to get one sandwich here, this is the one to get. It's world famous for a reason. The last sandwich to arrive was the lemongrass beef chuck, was is a meat I've never seen used in a banh mi before. The beef was stewed with carrots and other veggies until impossibly tender before being added to the sandwich, which made this sandwich the most moist and hefty out of the three. It reminded me of a Vietnamese beef stew, which is usually served with a baguette on the side, but made portable. But the food aside, can I just take a moment to give a shout-out to the owners? Simply Banh Mi is owned and ran by a brother-sister-mother trio and they are positively some of the nicest people I have met. Seriously, they absolutely made my day. 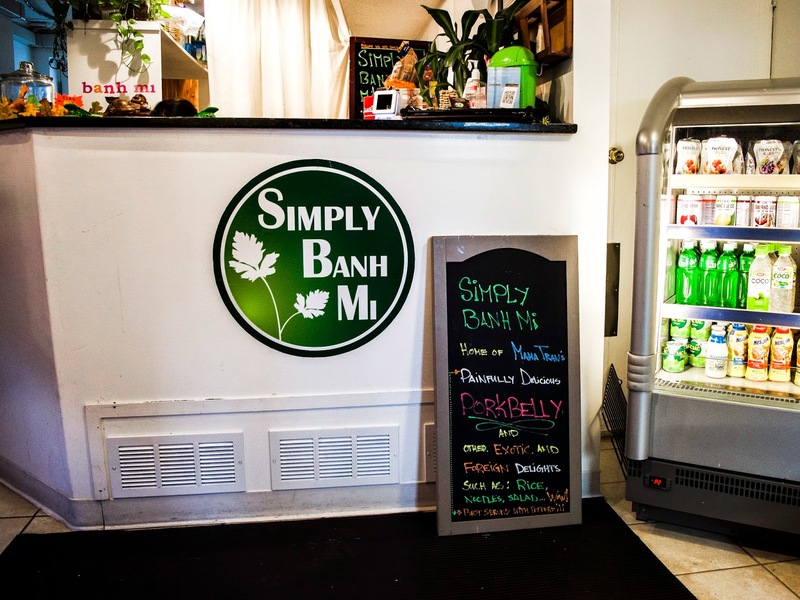 Even if you don't like sandwiches, go give Simply Banh Mi a visit just to chat with the owners. And tell them I sent you. Look! They'll even gave you cookies. John (one of the owners) told me that they give "ugly cookies" to all their customers who order a meal. 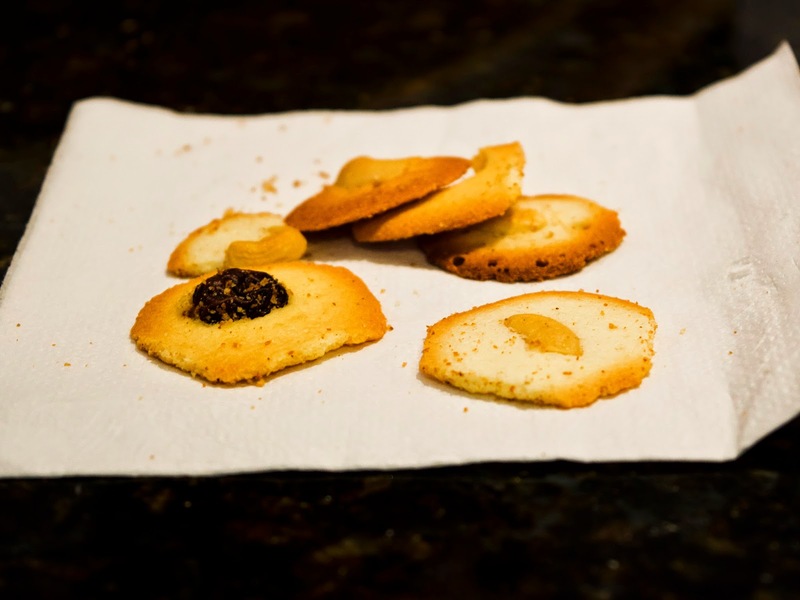 Oh, and he made sure to assure me that the cookies were still delicious. And yup, they were.